Realty one name badges and bling name badges for realtors, agents, brokers, and offices. Nextage Realty bling name badges and name badges. 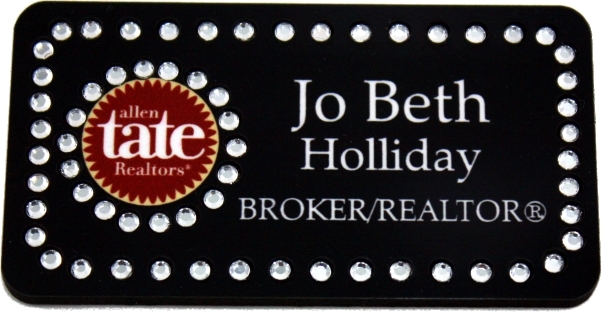 Handset rhinestone name badges for Nextage realtors, agents, brokers and offices. Realty Executives bling name badges and name badges. 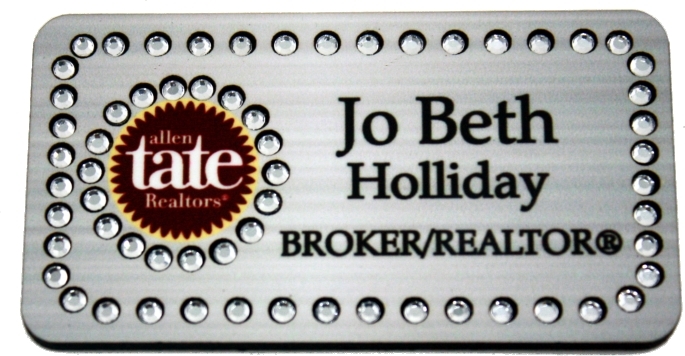 Handset rhinestone name badges for Realty Executives realtors, agents, brokers and offices. United Real Estate bling name badges and name badges. Handset rhinestone name badges for United Real Estate realtors, agents, brokers and offices. Exit Realty bling name badges and name badges. Handset rhinestone name badges for Exit Realty realtors, agents, brokers and offices. 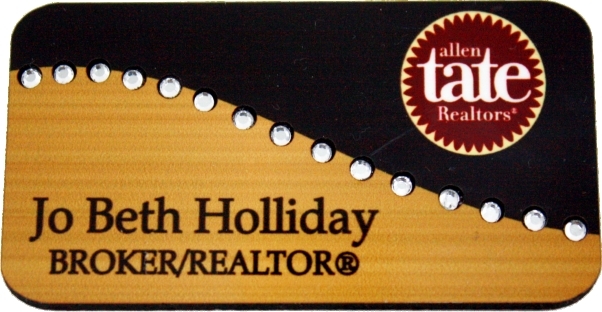 Better Homes and Gardens Real Estate bling name badges and name badges. Handset rhinestone name badges for Better Homes and Gardens realtors, agents, brokers and offices. ERA Real Estate bling name badges and name badges. Handset rhinestone name badges for ERA Real Estate realtors, agents, brokers and offices. West USA Realty bling name badges and name badges. Handset rhinestone name badges for West USA Realty realtors, agents, brokers and offices. Solutions Real Estate bling name badges and name badges. 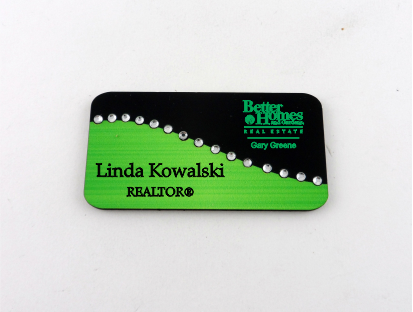 Handset rhinestone name badges for Solutions Real Estate realtors, agents, brokers and offices. Reliant Realty bling name badges and name badges. Handset rhinestone name badges for Reliant realty realtors, agents, brokers and offices. Metro First Realty bling name badges and name badges. 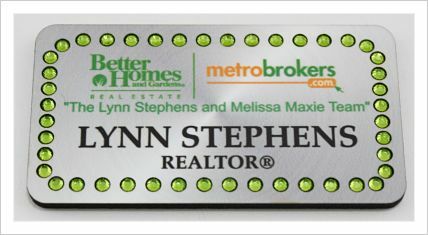 Handset rhinestone name badges for Metro First Realty realtors, agents, brokers and offices. Capital Title bling name badges and name badges. Handset rhinestone name badges for Capital Title realtors, agents, brokers and offices. 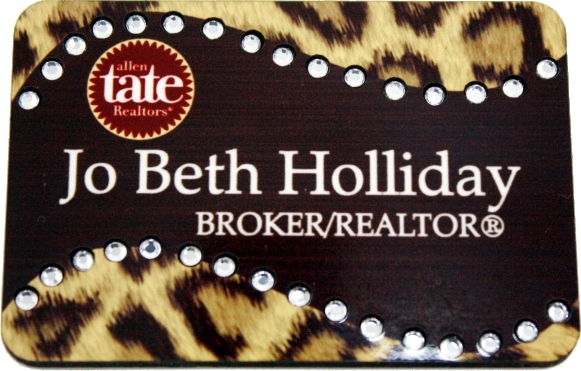 Allen Tate Animal Print Bling with magnet backing. 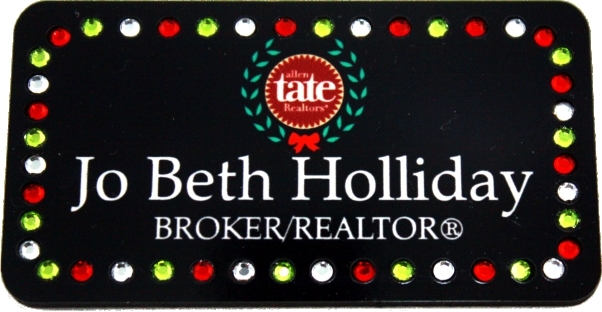 Allen Tate Holiday Bling with magnet backing. Allen Tate Total Black Bling with magnet backing. Allen Tate Total Silver Bling with magnet backing. Allen Tate Two Tone Gold and Black Swirl Bling with magnet backing. Benchmark Bling with magnet backing. Better Homes and Gardens Black House of Bling with magnet backing. Better Homes and Gardens Silver Rectangle with magnet backing. Better Homes and Gardens Two Tone Green and Black Swirl with magnet backing.